The Shankly Hotel is the number one destination in the North West for any Liverpool Football Club fan. 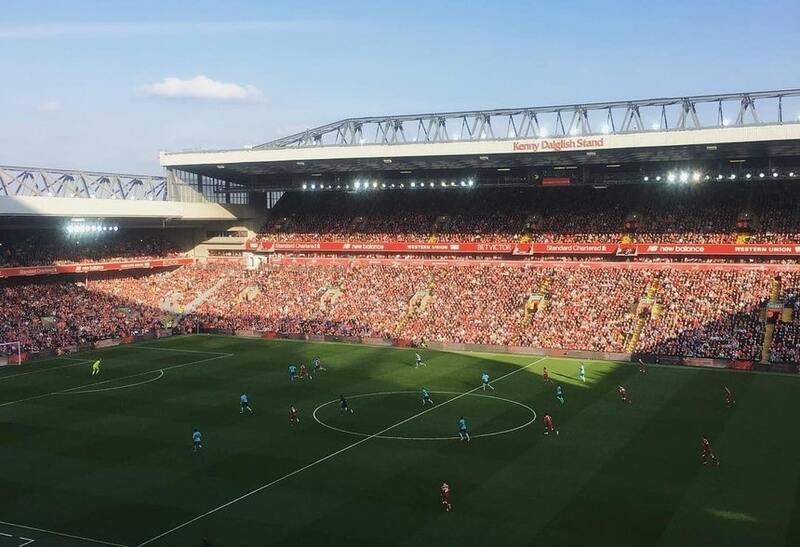 We pride ourselves on providing the most electric match day atmosphere, in addition to superb drinks deals, a unique environment that is sure to impress any Liverpool fan, and luxurious football-themed rooms that are perfect for group stays. So, with Liverpool on the cusp of greatness, maybe it’s time you started planning your next stay in one of our amazing football-themed rooms. Dedicated to Liverpool’s icon leader, The Bastion Bar and Restaurant is the best place in Liverpool to watch the Reds. 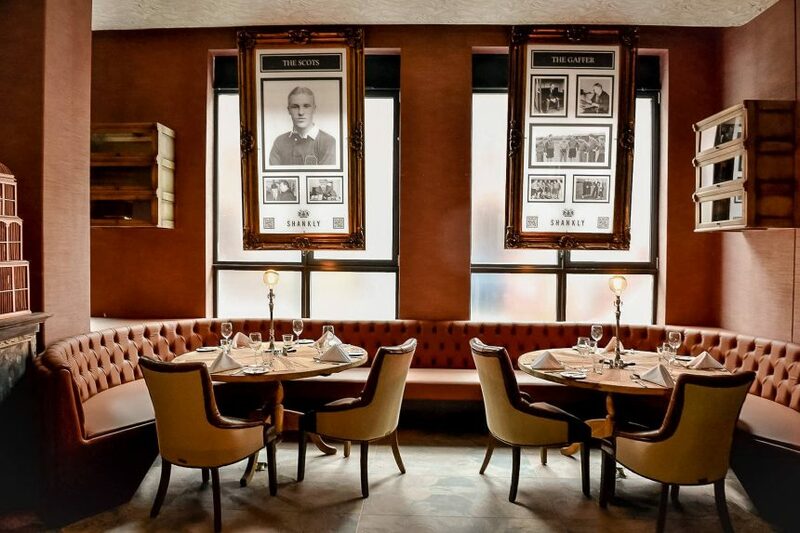 Located inside the spectacular Shankly Hotel, this wonderful restaurant enables diners to delve deeper into the personal and professional exploits of the ex-Liverpool boss. 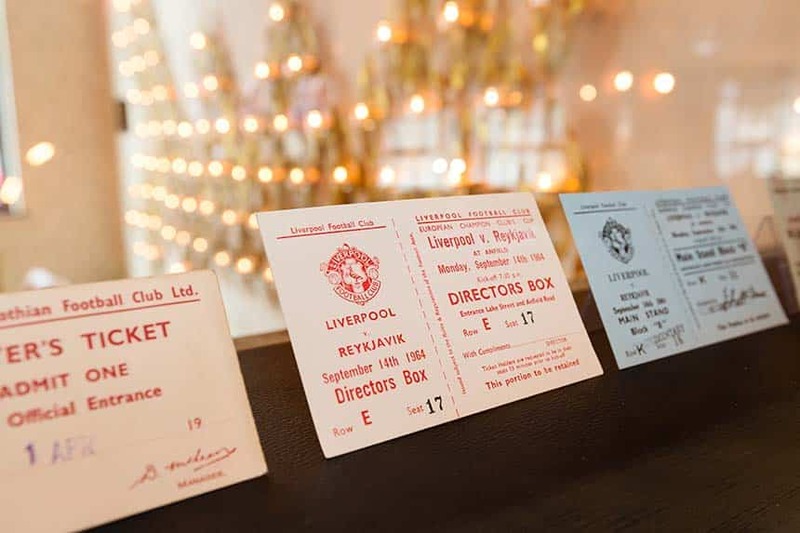 Unearth some of Shankly’s most treasured memorabilia – which is displayed throughout the restaurant – and explore Liverpool’s remarkable history. Every time the team take to the field the action is screened on our enormous monitors, evoking an electric atmosphere that can’t be matched anywhere else. Join us every matchday and enjoy exclusive prizes and in-play deals that recreate that winning feeling and get you in the party mood. Moreover, the amazing Premier League Club and Champions League Club lets you earn loyalty points for every game you attend. In return, you’re provided with exclusive access to unbeatable rewards, be it weekend stays in our luxurious football-themed rooms or unprecedented access to unseen Liverpool merchandise. Soak up the eclectic atmosphere as you devour delicious home cooked meals from a delectable menu, expertly crafted by our talented chefs. The Bastion Bar and Restaurant is the ideal destination for a Liverpool Football Club fan. 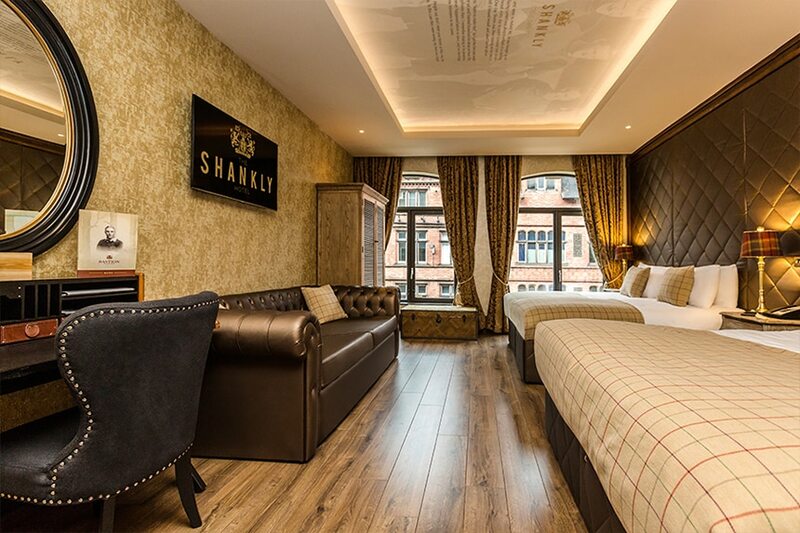 The Shankly Hotel in Liverpool provides luxurious accommodation that’s as iconic as its namesake. 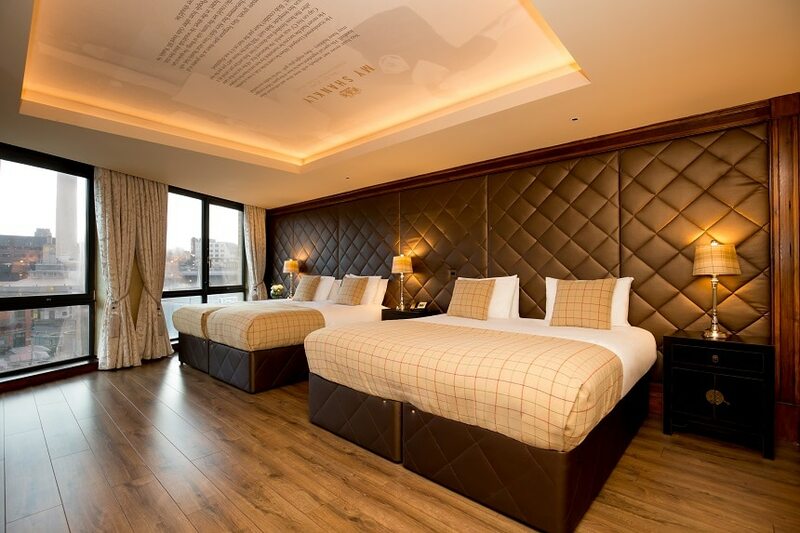 The perfect place to rest your head if you’re a red, The Shankly Hotel is an ideal tribute to the career of one of the games finest managers and a Liverpool hero. 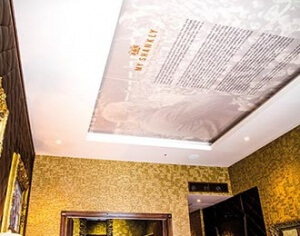 The hotel is home to never-before-seen memorabilia which has been donated by The Shankly family and exhibited around the restaurant and rooms. Our personal favourite is the assortment of handwritten notes by Shankly himself. The notes cover numerous topics such as tactics and match reports. We are the ideal destination for those who appreciate luxury, fun and comfort, providing visitors with the ultimate hotel experience in Liverpool. 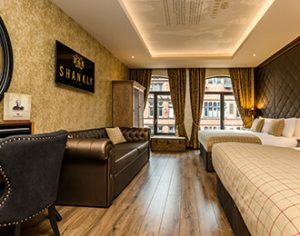 Situated close to numerous transport links, The Shankly Hotel is the perfect place to stay if you’re going the game, or if you’re looking for somewhere to watch the action unfold. Our football-themed rooms and suites have been designed with comfort and luxury in mind, featuring inspirational quotes and memorabilia from the main man himself. 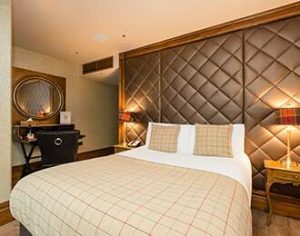 For comfort, elegance and unprecedented luxury, look no further than our Shankly inspired rooms. Shankly was a man of the people – and there’s no finer way to bring people together than with our spacious football-themed rooms. Perfect for those party weekends away or Liverpool matchdays, our football-themed rooms are a must stay for those looking to explore the football capital of the country. Always wanted to learn more about Liverpool and one of their most iconic and cherished managers? The Shankly Experience is the perfect tour for you. With a wide range of routes and themes to choose from, we can promise you won’t be disappointed. 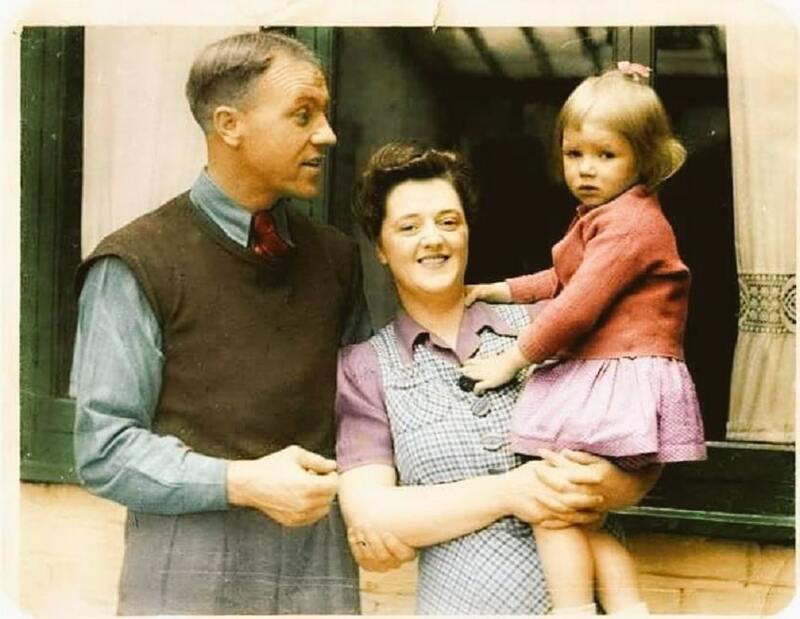 Tour Anfield and soak up plenty of Liverpool’s impressive culture, or maybe you’ve always wanted to see Shanks’ house – it doesn’t matter if you can’t decide, we also provide packages that let you book a tour tailored to your interests. At the end of every tour explore the Shankly museum, set within our remarkable hotel. Bask in Shankly’s first ever Liverpool contract, the key to The Shankly Gates or his telegram from Neil Armstrong. No matter if you’re a fan of culture, architecture, sport, music or history, The Shankly Experience is ideal for any Liverpool Football Club Fan. 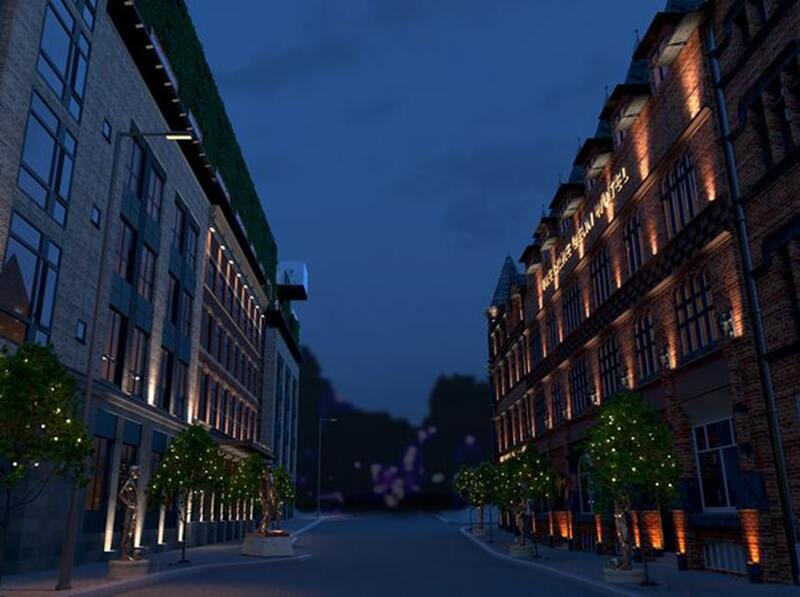 Last year, it was announced that a new hotel dedicated to the Everton icon Dixie Dean would be opening opposite The Shankly Hotel. And recently, the Dixie Dean family put pen to paper on a deal that would see them work closely with the hotel. Set to celebrate the friendly rivalry that unites – and sometimes divides – the city, the quarter is to be decorated with statues of Everton and Liverpool icons. So, whether you want to watch the match or book a stay in one of our spectacular football-themed rooms, our friendly team can’t wait to hear from you. 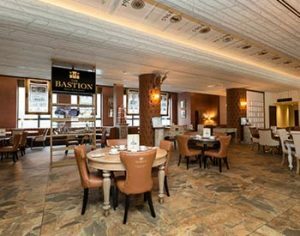 If you’re yet to visit The Bastion Bar and Restaurant, then look no further. We have a recommendation straight from the kitchen and we know you’ll want to give it a try! Our very own Matt Cox, executive chef at the Bastion spoke to Liverpool Echo this week, sharing his favourite dish from The Bastion menu. Situated within Liverpool’s luxury Shankly Hotel, The Bastion Bar & Restaurant offers a delicious range of fresh, hearty dishes served in style and prepared by our talented chefs back in the kitchen. 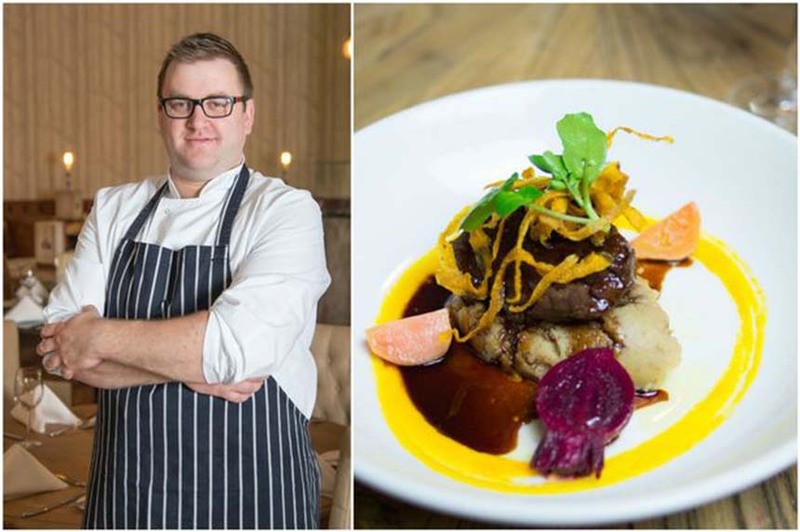 Whilst the Bastion serves up a wide variety of dishes, Matt Cox’s favourite is the Bastion’s Slow Braised Ox Cheeks which are enjoyed with Caramelised Shallot Mash, Baby Beets and Creamed and Crispy Carrots. Whether you’re an overnight guest at the Shankly or you visit The Bastion Bar and Restaurant for a meal out, our extensive menus offer something for everyone. More of our main courses include our Sweet Potato, Spring Vegetable and Chilli Wellington, Roast Lamb Rump and our Pan Seared Seabass Fillet. 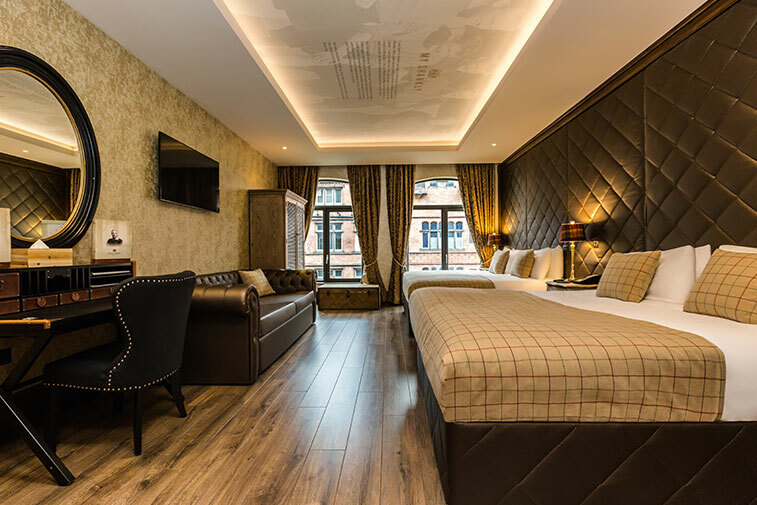 Indulge in the exquisite surroundings of The Shankly Hotel as you take in the splendour of the grand building and stylish decor, offering the perfect blend of classic and contemporary. The Bastion Bar and Restaurant is filled with character and charm. With treasured Bill Shankly memorabilia on display around the restaurant space, dining at the Bastion is a truly atmospheric experience. 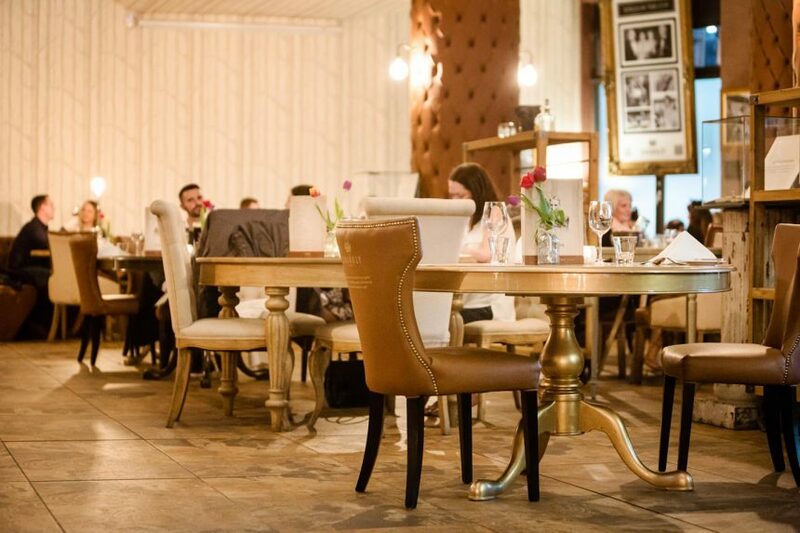 Our spacious restaurant allows us to cater for small to larger groups of friends and family. 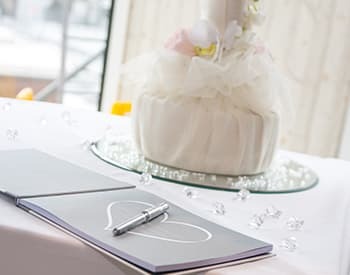 We often welcome groups celebrating birthdays and graduations, ensuring that visitors have a sociable meal with just the right level of intimacy. Adding a touch of opulence to the Bastion, don’t miss out on joining us for scrumptious Afternoon Tea with our fantastic deals. 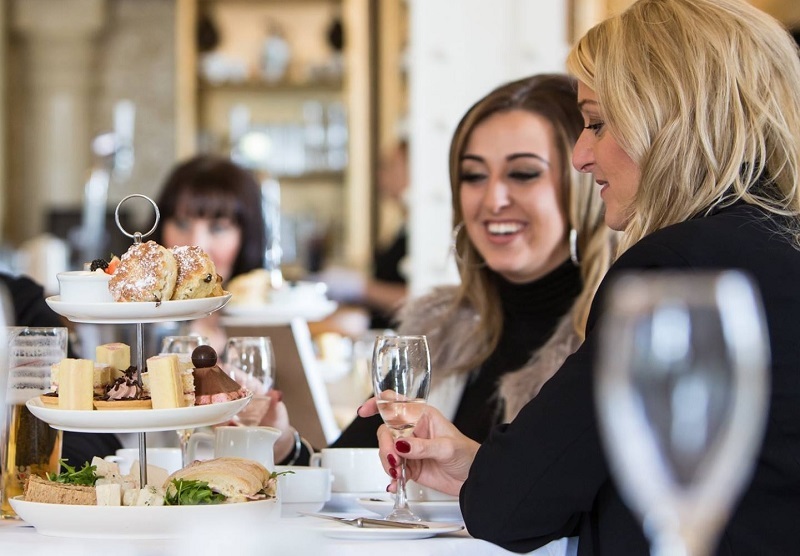 The perfect way to celebrate a special occasion or simply treat yourself, gather your nearest and dearest for an afternoon out that you won’t forget. Tuck in to a range of tasty sweet and savoury treats as we take over and encourage you to sit back, relax and make yourself right at home! 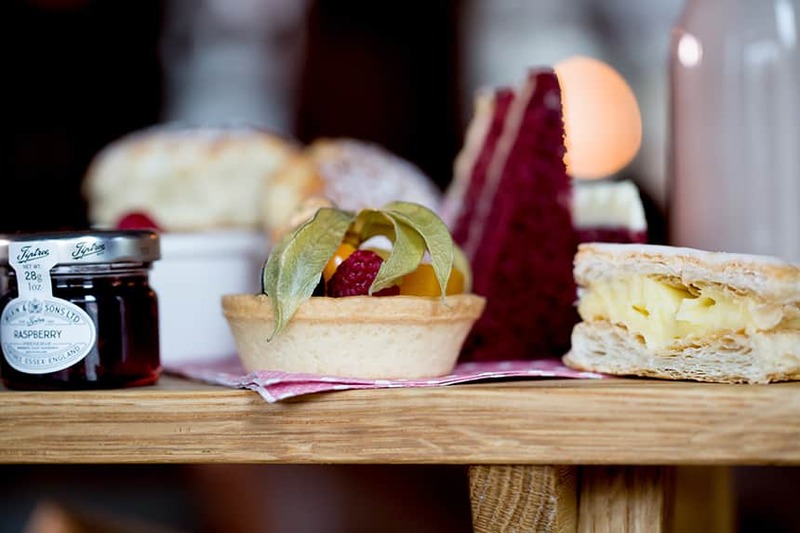 It’s well-worth keeping an eye out for our themed afternoon tea events, held regularly throughout the year. From the crooning tunes of Swing Afternoon Tea to the dazzling magic of Prince and Princesses Afternoon Tea, we encourage the whole family to come along and get involved in the fun. To book your seat at the table, you can get in touch with our friendly team on 0151 601 8801 today and they’ll be happy to help. If you’ve booked a stay at The Shankly Hotel this bank holiday weekend, you’ll need to start planning which bars and restaurants to visit. You lucky people have struck gold with this stunning hotel, not only will you be sleeping in the utmost luxury, you are also at the heart of the cities favourite nightlife district. 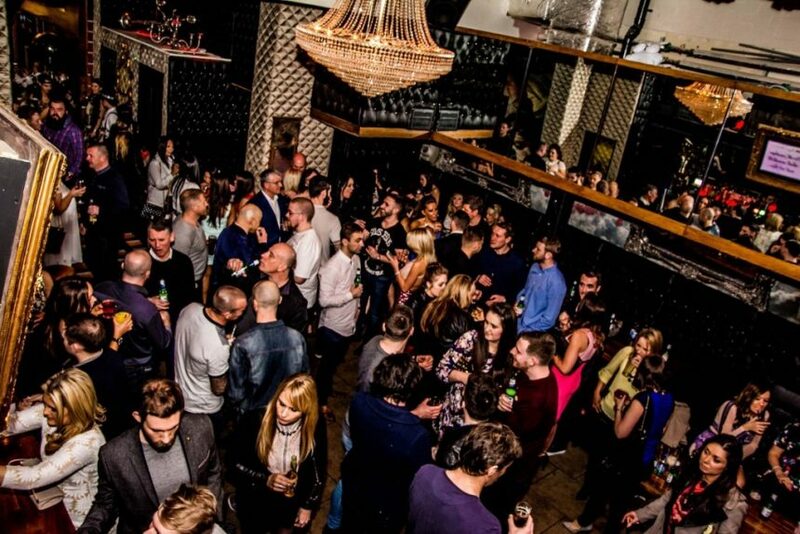 Here’s our guide on where to go around Victoria Street and Mathew Street over this bank holiday weekend in Liverpool. 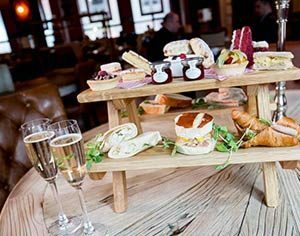 A perfect venue for brunch, afternoon tea, an evening meal or a few cocktails, Jam Restaurant is a pretty little independent eatery and bar that fuses casual dining and gourmet classics served in contemporary surroundings. It specialises in tea and offers lucky diners a choice of over 25 different varieties. 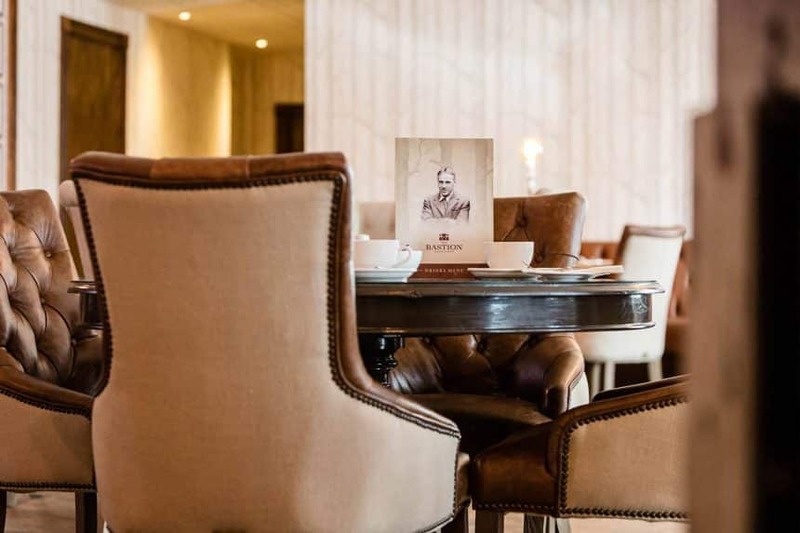 Their delicious brunch menu is served all the way until 6pm when a sumptuous a la carte evening menu takes centre stage; they also offer gluten free options. This wonderfully charming restaurant is a brilliant place to relax with a cup of tea and cake. Guests at The Shankly Hotel are treated to the amazing Bastion Bar & Restaurant, it’s one of the best places to visit during the bank holiday weekend. 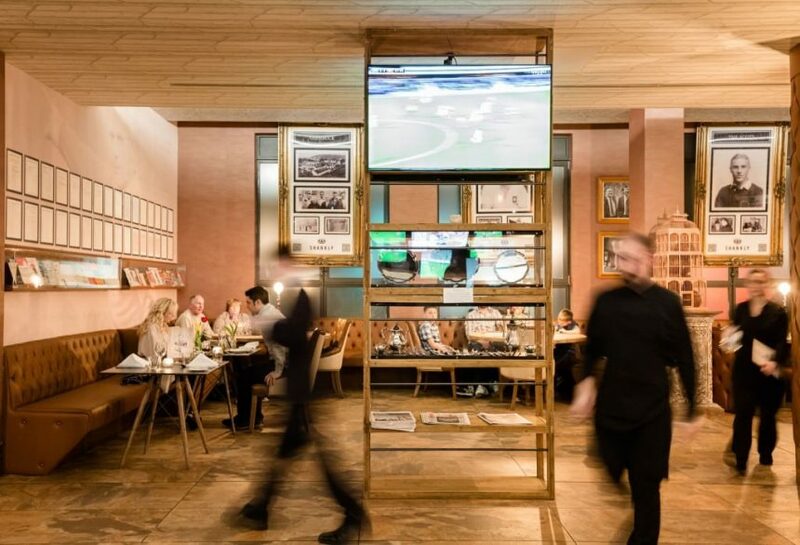 Inspired by the life and legacy of Bill Shankly, this unique bar offers delicious dishes created by a team of talented chefs, using only fresh, seasonal produce and an amazing private collection of unseen Bill Shankly memorabilia, kindly donated from the Shankly family. Gain a unique insight into the legendary football manager’s life, viewing his personal typewriter, reading letters to and from his fans and take a look at his OBE, whilst you tuck into to some tasty food and cocktails. The Bastion also screens the football from various TV’s situated around the bar and is renowned for its electric match day atmosphere. If you love Caribbean food, Turtle Bay is one of the best places to sample this tasty cuisine. 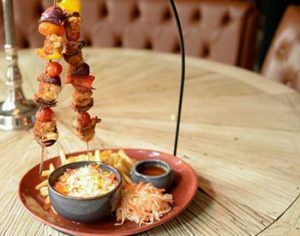 This vibrant restaurant is famous for its brilliant cocktail choice and happy hour prices, exotic hearty food and rum shack style party atmosphere. The menu features cuisine that really brings out the soul of Caribbean culture with an eclectic choice influenced by a rich tapestry of ethnicities, from Creole to South Asian. The signature aromatic dish of jerk chicken has become a firm favourite with diners. The meat is marinated for 24 hours and slowly grilled over the jerk pit with sour orange chutney and coconut shavings. It’s a great place to go with a large group, but it might be best to book ahead. The Hatch is a basement bar situated in the Cavern Quarter and is a popular live music venue and sports bar. They screen all SKY and BT Live football matches and it’s a great place to chill out with a couple of beers over a game of pool. Drinks at the Hatch include draft beers, wine and a wide selection of cocktails. 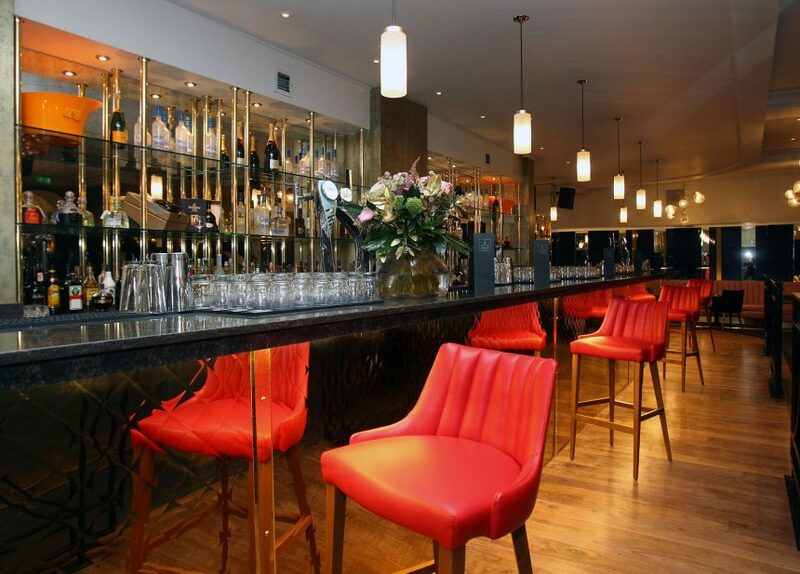 Bar Signature is a stylish and contemporary bar set in a key location, it is the go-to bar in Liverpool for visitors and locals alike who are looking for an amazing night out. 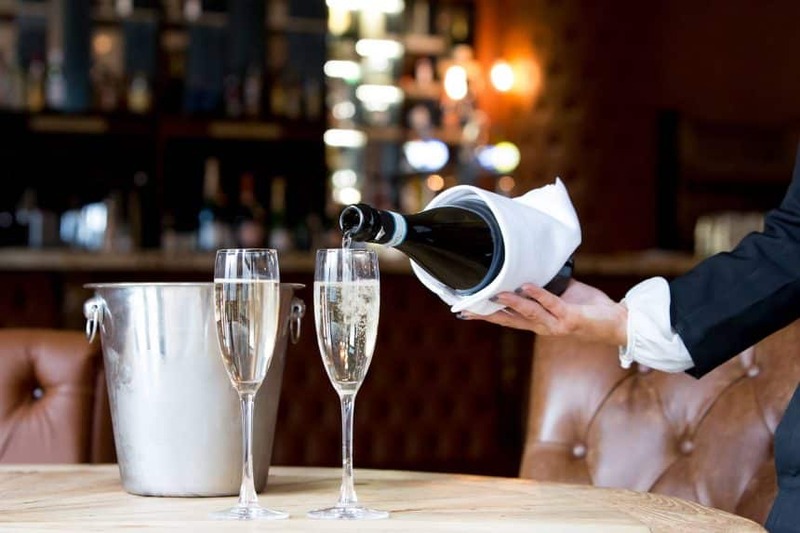 With an exciting and ever-changing cocktail menu, the finest champagnes and spirits accompanied by music from award winning DJs and world-class live entertainment, Bar Signature is the heart of nightlife in the Mathew Street area. Situated within The Signature Living Hotel, Bar Signature is a social hub for people all over the UK. From acrobatics to a live saxophonist, the entertainment in Bar Signature is unrivalled, providing a theatrical and unique sanctuary for the party people of Liverpool. The first Sugar Hut to open outside of Brentwood, Essex, where the original venue shot to fame after appearing in The Only Way Is Essex, the bar is a popular destination for celebrities on a night out in the city. The venue features a luxurious bar and restaurant with a cocktail lounge and two clubs. 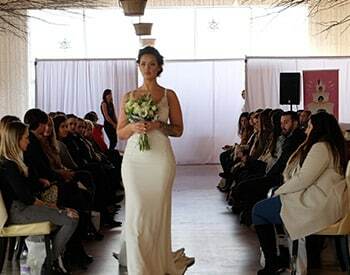 There are 34 booth tables, make-up and powder rooms for the selfie lovers and even phone charging facilities. The restaurant offers something for everyone with dishes such as steak, lobster and burgers. Stylish inside with golden lights, flower-filled dark wooden tables and elegant navy and red chairs, the Sugar Hut is a favourite with local celebrities and footballers. It’s the place to be seen and is sure to be buzzing this weekend. 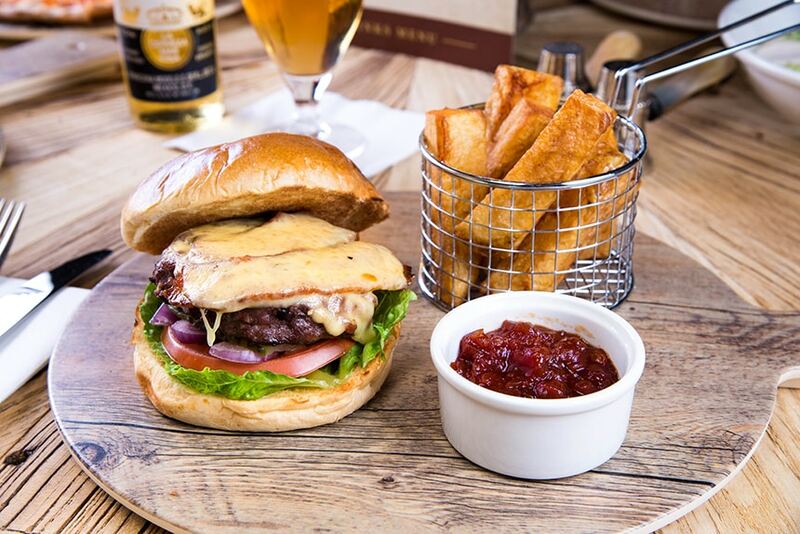 The Lisbon is a basement bar, set in a stunning Grade II listed building, that serves tasty pub style food every day. Famed for its beautifully ornate ceiling and swinging chandeliers, The Lisbon offers a relaxed atmosphere throughout the day or the perfect place for a late night tipple. With regular DJs and cabaret nights, the bar has a lively variety of events. There is also a kitchen serving a whole range of hearty dishes, including a belly-busting breakfast until 5pm. The Lisbon’s friendly staff and weekend DJs alaways make sure that everyone has a night to remember. Built all the way back in 1800s, the Grapes is an institution that has truly stood the test of time. Though night clubs and shops now surround the historic pub, the Grapes certainly hasn’t been forgotten. It was the only pub on Mathew Street during the 1960s and has a very important claim to fame in that it was frequented by the Beatles. For Beatles fans and those looking for a taste of nightlife history in Liverpool, a visit to the Grapes is one to add to the top of your Liverpool pub crawl. A strong contender for the best burger in Liverpool, Wall of Fame is a trendy music-themed bar and restaurant located in front of the Cavern Club. A tribute to all of the bands that played at the original Cavern, this bar is a fun and fresh take on the legends who have passed through Liverpool. The restaurant serves classic American food such as burgers, bacon fries, waffles and pizzas and is open till late. Guitars, pianos and even a drum kit are dotted around inside, plus plenty of pictures and paintings of The Beatles and other stars from the 60’s and beyond. Perhaps one of the most iconic venues on Mathew Street, the world famous Cavern Club is the crowning jewel of the nightlife in this area. Fridays and Saturdays at the Cavern bring back Beatle mania with their very own resident Beatles band to entertain you. So if you’re a Beatles fanatic and love a good sing a long to some of the fab four’s classic tunes, this is the number one destination for you. Another fantastic spot on Mathew Street for Beatles fans, Lennon’s Bar is a must if you’re in search of live music in Liverpool, a refreshing pint (that won’t break the bank) and a lively atmosphere. In the midst of a Beatles mad street, Lennon’s is a fantastic little tribute bar. Whether you’re in a small group of friends or celebrating a stag do or hen do in Liverpool, Lennon’s Bar has got you covered. With quality Guinness, live music every night and three floors of fun, you can expect nothing less than a craicing time at Flanagan’s. Live music and handpicked craft beers make this spot a must-try for your list of bars in Liverpool. And the next morning, we suspect you may be in need of a hearty Flanagan’s Apple breakfast! One of the most unique nightclubs in Liverpool, Heaven is an after-hours venue with a vibrant drag alumni. The club has hosted international drag stars, including American icon RuPaul’s UK ambassador, The Vivienne. You’ll definitely want to end the night at Heaven and with their doors not closing until the early hours of the morning, you can party until the sun comes up. Expect a mix of LGBTQ and straight, and mingle with the varied crowd, there are loads of drinks on offer including a big selection of shooters, cocktails and beers. If you’re looking for something a bit more private why not try out L1KTV, for an exclusive karaoke night. The club has nine VIP karaoke rooms, that come with a private bathroom and have full waitress/waiter service at the touch of a button. Fitted with the latest high end technology and equipment from Asia, and a server constantly uploading new songs 24hrs a day, L1KTV can cater to everyone’s taste with thousands of songs to choose from. And there you have it, all the best places to have an unforgettable bank holiday weekend in Liverpool and all of them near Victoria and Mathew Street. We hope you have a great bank holiday weekend in Liverpool. See you soon. With the races coming up on 8th April 2017, you may be worrying about the upcoming train strike…but the good news is, you don’t need to fret. If you’re stuck for Grand National transport, look no further than our Grand National deals. At the Shankly Hotel in Liverpool, we’re offering a range of Grand National packages to ensure that you arrive to the races on time, and in style. If you’ve travelled to the races by train in previous years, we can guarantee your experience with us will be one to remember! Get whisked away to Aintree Racecourse, following a delicious champagne breakfast in our fabulous Bastion Bar & Restaurant. You can wave goodbye to feeling cramped on the train and waiting around for taxis! With this dazzling deal designed for your enjoyment, you can trust our team to ease your worries and ensure that you don’t miss a thing. Fancy treating yourself to something special? 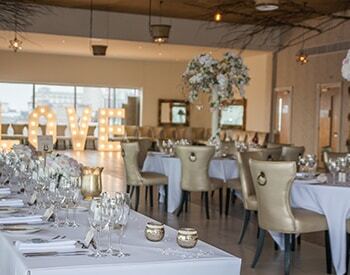 To ensure that the day runs smoothly with a touch of sparkle, look no further than our amazing Full Day package. We’ll be doing the organising from start to finish. 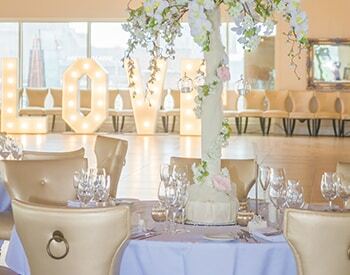 In the early hours of the day, you can sit back and relax as you enjoy a champagne breakfast with your nearest and dearest, the perfect chance to snap some photos before the big event. Following breakfast, we’ll whisk your group away to Aintree Racecourse. And the fun doesn’t stop there. Upon your return, you’ll be invited to tuck into a luxury 3-course meal, enjoy a ½ bottle of wine and make the most of our dazzling live entertainment. We can’t think of many better ways to finish off the day! 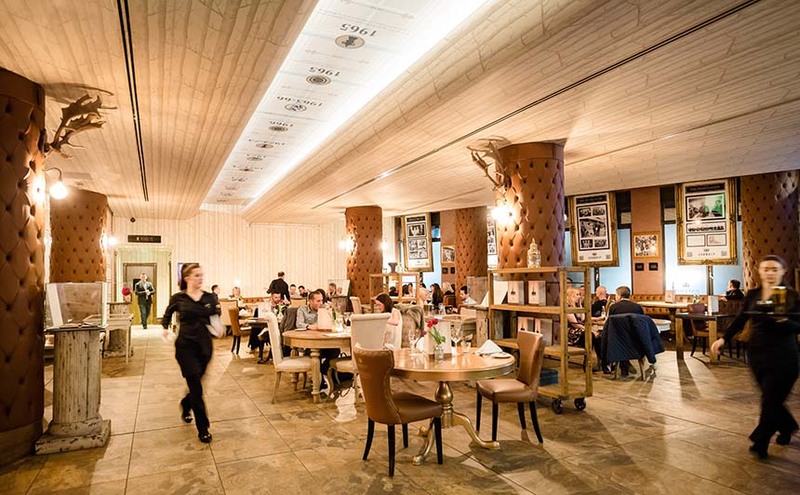 The Bastion Bar & Restaurant is located within Liverpool’s stunning Shankly Hotel. 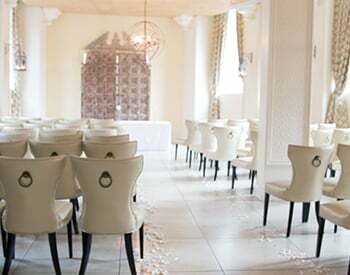 With its stylish interior and diverse menus, you can’t go wrong with a luxury meal at the Bastion. In keeping with the hotel’s Bill Shankly theme, you can admire the array of Bill Shankly memorabilia around the restaurant area itself. There simply isn’t a better restaurant venue for LFC fans! The Bastion’s impressive menus include hearty dishes that are bound to prevent the hangover. With options ranging from Chargrilled Lamb Rump, The Famous Shankly Burger, Beer Battered Fish and Chips and our refreshing Halloumi and Artichoke Salad, we’re sure you’ll be left feeling restored and replenished after a busy day out. And for those who intend to stay out all night, our drinks menu is certain to hit the spot. Offering a range of wines, champagne and 2 for £10 cocktails, you’ll be ready to hit the town in no time. To book your perfect Grand National package, simply give our friendly team a call on 0151 601 5834. Alternatively, you can contact our team online and they’ll be happy to help! 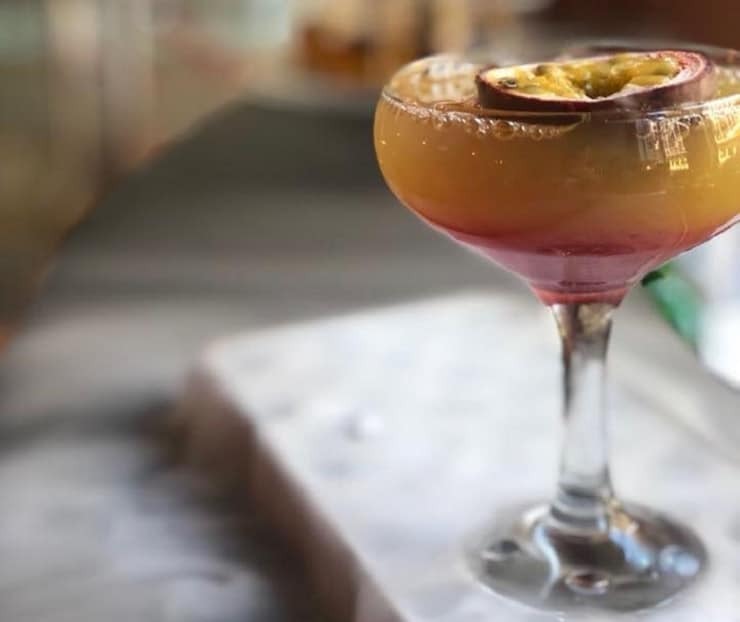 With St Patrick’s Day celebrations coming up this weekend, we’d love to see you at the Bastion Bar and Restaurant for some celebratory cocktails and Irish craic! Paddy’s Day weekend is the perfect excuse for a night out with friends. And at the Bastion, we’re renowned for fantastic food and delicious drinks. Atmospheric and unique, the Bastion is located within Liverpool’s Bill Shankly-themed Shankly Hotel. Bar visitors are welcome to admire an array of Bill Shankly memorabilia, which is located within the restaurant itself. A favourite spot in Liverpool for couples, groups of friends and families, there’s simply nowhere better for starting your night in style. For those heading out all day and night, you may be after some food to keep you going! The Bastion offers a wonderful menu of dishes, prepared by our talented chef for your delight. You can pick from hearty dishes ranging from our famous Shankly Burger, Beer-Battered Fish and Chips, Pan Fried Fillet of Salmon and our Portabello, Spinach and Greek Feta Burger. Whether you’re heading to the St Patrick’s Day parade beforehand, or you’re off to explore the nooks and crannies of Liverpool’s best Irish bars, the Bastion is located right within the heart of Liverpool, so it’s the perfect place to begin your night or stop off along the way. Liverpool’s infamous Mathew Street is only a short walk from us, so you can easily check out Flanagan’s Apple or the iconic Cavern Club on your travels. Then, why not make your way up Bold Street or Seel Street for some of the most vibrant bars and clubs in Liverpool? Up here, you’ll discover the dynamic Liverpool nightlife hub of Concert Square. Along Seel Street, there’s an array of thriving independent clubs and bars to pick and choose from as you explore. 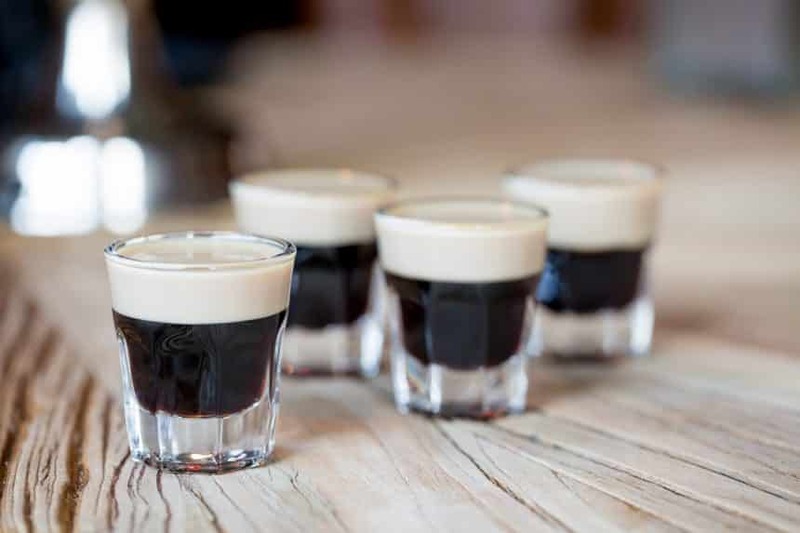 So whether it’s a smooth pint of Guinness that you’re after, a fruity cocktail or even some good old fashioned shots, you’ll be spoilt for choice! 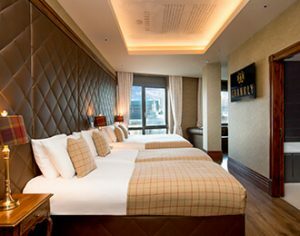 The Shankly Hotel is a brilliant spot for St Paddy’s Day accommodation in Liverpool. Our luxury rooms are designed with group accommodation in mind, so you can expect only the most spacious of rooms, equipped with high quality facilities and deluxe beds. Bill Shankly was a man of the people, so we want your stay to be a sociable one. Our rooms accommodate couples to larger groups of guests, so that you don’t have to split from your group during your stay. For an extra touch of luxury, our rooms are equipped with whirlpool baths, perfect for sinking into after a late night out in Liverpool. To contact our team about reservations for St Patrick’s Day weekend 2017, just call 0151 601 8801.